Taking care of your vehicle’s wheels isn’t easy. As one of the more essential components of a well-running car, wheels are also one of the most vulnerable parts of your vehicle. An uneven tread, built-up corrosion on the wheel or even a haphazard rusty nail can all affect the essential performance of your car, as well as the life of your wheel. While wheels can get damaged, proper wheel maintenance and cleaning can drastically improve the life of your wheels. Keep reading to see what you can do to ensure that your wheels are in tip-top shape for as long as possible. For your wheels to work their best, you have to maintain a proper service schedule. Although the owner’s manual of your vehicle can provide more specific information, it’s generally recommended that you perform a routine service on your car every 6,000 miles. At that point, you should rotate your tires, check the alignment of your wheels and examine the vehicle’s suspension. 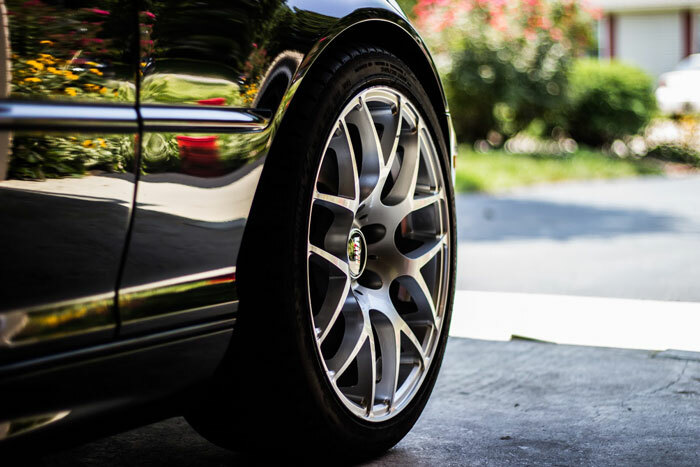 A proper service check and tire rotation allows your wheels to wear evenly and ensures that they’re working properly with the rest of your vehicle, ensuring the life of your wheel and it preventing against potential future damage. Tire pressure is crucially important to the overall upkeep of your vehicle. Not only does it affect the wheel’s performance, but it can also have an impact on your fuel efficiency and the safety of your vehicle. But proper inflation goes far beyond simply avoiding a flat—it requires constant vigilance to ensure your car stays within the optimum tire pressure for your specific vehicle. 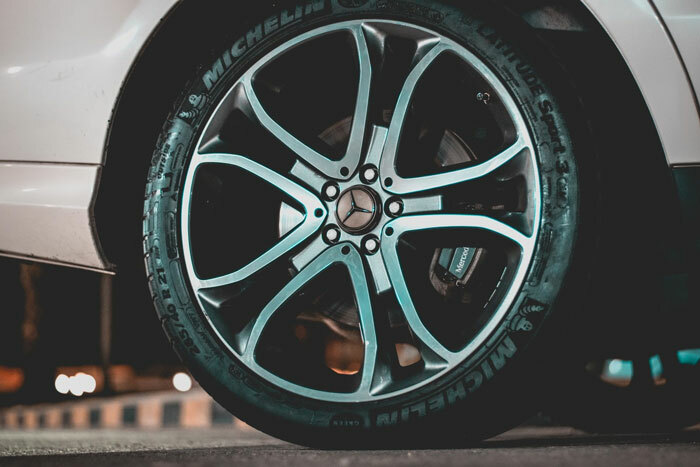 Although tire pressure is checked during your routine service appointment, effective wheel maintenance requires a watchful eye on your inflation levels to ensure proper protection of your tires between official services. Checking your tire pressure once a month should be sufficient to ensure proper inflation levels. Be sure that your tires are cool and check the inflation with a tire pressure gauge. If they are below the recommended pressure, fill them and check the pressure again. Staying within that optimal inflation zone is crucial to your wheel maintenance efforts, as well as the overall function of your car. As we said before, no tires can last forever. As your tires wear down, they become more and more susceptible to blowouts and other irreversible damage. It goes without saying that a blowout is not good for your rims. Therefore, observing your tread on a regular basis is a crucial part of wheel maintenance. Tires should never dip below the .16cm level of remaining tread depth. At that point, your tires are no longer safe to drive on, which can compromise the integrity of your entire vehicle. When you check your tire pressure every month, you should also check the tread and ensure your tires still have some life left in them. Regular cleaning with mild soap and water is required to remove road soils, brake dust, and road salts that trap moisture and cause corrosion over a period of time. After cleaning, you may apply an acrylic polish if you desire. The material will keep the shine and act as a dust repellent. We recommend Novus Polish #1 plastic clean and shine. If minor scratches occur, they may be removed by using a high-quality fine polish (not a chrome polish) or scratch remover that is clear coat safe. We recommend using Maguire’s Ultimate Compound. After polishing and scratch removal, apply a clear coat safe wax. We recommend Carnauba Car Wax. Treat the wheels the same way you would treat the paint on your car. This will ensure that your wheels last as long as the finish on your car. If your rims are beyond repair, all the wheel maintenance tips in the world won’t do you much good. At that point, it is time for a new set of rims all together. At Wheel Creations PVD, we combine high-quality wheel materials with an environmentally-friendly chrome finishing that helps to protect against the natural corrosion and rust that can affect the performance. Not only are our wheels durable and aesthetically pleasing, but they’re also available at a price you can afford. If you have more questions about our all-weather PVD chrome plating solutions, please call us at (562) 381-2670 or email us at sales@wheelcreationspvd.com and allow our sales team to answer any questions you may have.